When Mumford & Sons came on the scene in 2009 their sound was fresh, but by the time their second album came out in 2012 they were over played and I was bored with them. The boys did what they had to do on Wilder Mind – they changed up their signature sound – including banning the banjo. This is dangerous stuff tampering with the recipe, but if you are a real musician you have to evolve. I like the new sound. Sure at times it evokes Coldplay, but I think that is a superficial criticism. “Tompkins Square Park” – The first time I heard the song I thought Coldplay, but subsequent listens it remind me of Don Henley’s “Boys Of Summer.” Not a bad influence for guitar strumming and banjo plucking band trying to find a new voice. “Believe” really has the Coldplay sound, but Marcus Mumford has a much more unique and interesting voice than Chris Martin. This works for me. Full disclosure I like Coldplay and most other U2 influenced bands so it is a guilty pleasure to consume this kind of pop. “The Wolf” takes Mumford & Sons signature hard and fast strummed acoustic guitars and substitutes electric guitar and rock drums. What do you get? A great sounding U2 song. 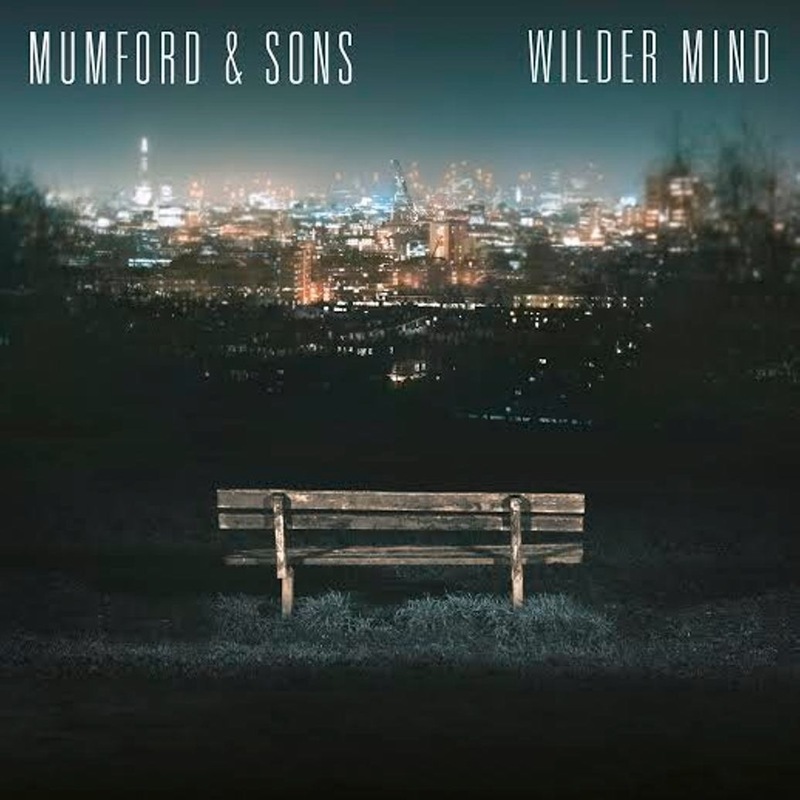 “Wilder Mind” the band hits their stride with the new sound. They sound like an evolved Mumford & Sons and not someone else. They have a legitimate new voice on this song. “Just Smoke” – Again I feel like this song sounds like an appropriate evolution. Maybe a little Dave Mathews Band sounding – but I think that is a good place for them to go (I am not a DMB hater). “Monster” is a quite ballad that really highlights what a cool pop voice Marcus Mumford has. Very nice melancholy tune. “Snake Eyes” is a little taste of old M&S – opening with acoustic guitar. But then it goes atmospheric. Then big electric guitars. This is going to sound great in arena. “Broad-Shouldered Beasts” has a nice little Led Zeppelin North-African groove. “Cold Arms” is a nice mellow ballad accompanied by some stark acoustic guitar. “Ditmas” by this point in the LP, the band sounds completely at home in their new style. “Only Love” starts out as the quietest song on the album but ends with a bang. This song is likely to draw the Coldplay accusation. But again Marcus Mumford’s voice is so much more interesting than Chris Martin’s – this sound fits the boys like a glove – it is a great steal. “Hot Gates” ends the album on a solemn note. A bit of dirge, but with a certain magnificence. I love the new sound and I am glad these guys took the gamble to reinvent themselves. This is arena worthy folk rock. Glorious melancholia.